Teeth whitening treatments can help in changing your appearance dramatically, which further helps in boosting your self-confidence. However, choosing an appropriate teeth whitening treatment can be increasingly difficult or confusing at times considering the wide range of options available today. Before choosing teeth whitening treatment you must ask yourself whether you want immediate results or you would be happy to see gradual changes in your dental condition. For immediate results however, in-office teeth whitening or chair-side teeth whitening is the best option. Of all the cosmetic dentistry procedures available today, in office teeth whitening treatments are the most popular and the most requested procedure. Unlike the at-home teeth whitening treatments that involve the use of mild bleaching agents, the in-office teeth whitening treatments involve the use of better quality bleaching agent. Also the procedure is carefully monitored by the cosmetic dentist and it is safe and absolutely free from any side effect. The in-office teeth whitening treatment is usually performed at the dental office under the supervision of an expert cosmetic dentist and his staffs. Dentists are likely to use a peroxide gel for the treatment that has a bleaching effect. The concentration is usually 15 to 35 percent, according to the need of the patent. Before initiating the bleaching treatment, the dentist makes it a point to cover the gums by lacing a rubber shield as a protection. With the help of the rubber shield the gums will be protected from the bleach; if the bleach reaches the gums it might cause irritation. After protecting the gums, the peroxide based gel is applied on to the teeth. When thoroughly applied, a special beam of light, usually a laser is used for increasing the bleaching effect. The bleaching agent is then removed and rinsed and the procedure is repeated for a couple of times within a period of 60 minutes. 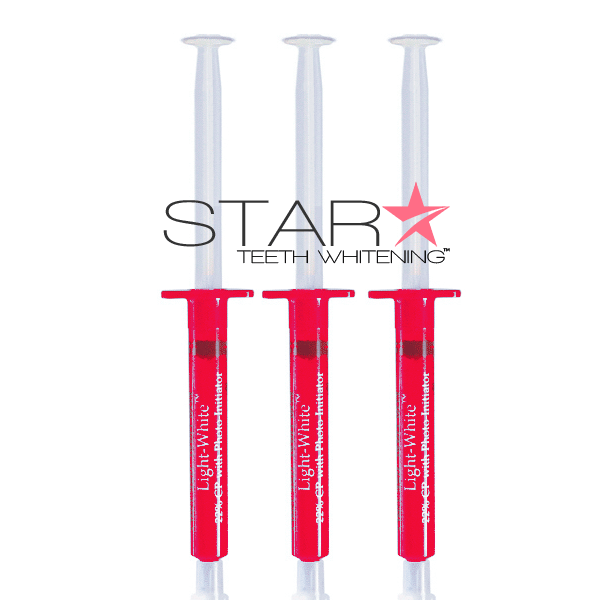 It takes just about an hour to complete the whitening treatment and you can go back home with dazzling white teeth. 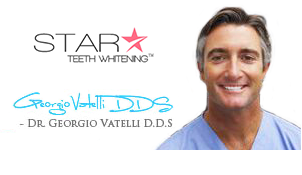 In-office teeth whitening is the best in removing organic stains or certain discolorations that occur over time. Stains tend to appear on our teeth with age. Over time our teeth darkens and a yellow or grey cast is created. This could be a hereditary problem or may be a result of our eating habits. Yellow stains are easily treated with in-office teeth whitening procedure. Stains that occur due to certain foods like red wine, tea, coffee, soda or some dark colored fruits or vegetables can also be removed with the help of in office teeth whitening treatments. Tobacco also causes dental staining that can be quickly reduced with the help of in office teeth whitening treatment. However, there are some difficult stains that cannot be removed with in office teeth whitening treatments, such as stains caused due to trauma or due to tetracycline antibiotics. Some people tend to develop inorganic stains on their teeth that can be difficult to remove with any whitening treatment. These stains are deeper than the usual ones and once your teeth are whitened, these stains tend to become more evident. Stains caused by tetracycline antibiotics bind with the structure of the enamel and dentin of our teeth, thus causing deeper stains that can be difficult to remove. Fluoride is also responsible for dental staining and leads to fluoroscopic. It is one of the most effective treatments that produces quick results. 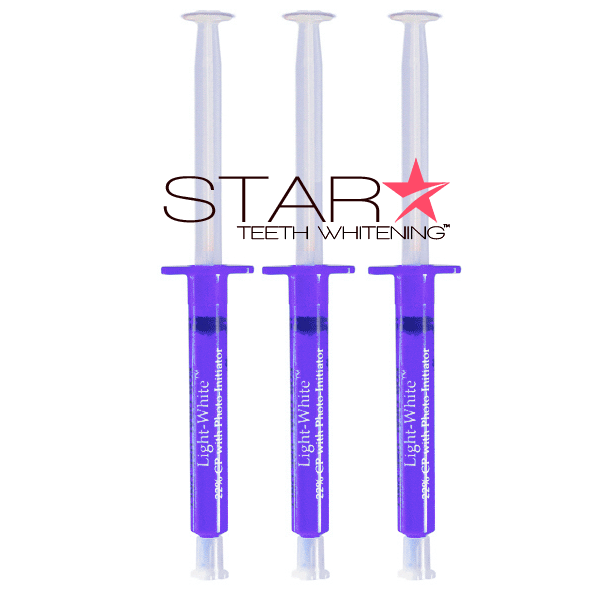 It is the safest teeth whitening treatment till date. It helps in reducing tooth and gum sensitivity as well due to the thicker peroxide content that doesn’t soak into your teeth easily and also due to the use of fluoride and potassium nitrate, two effective desensitize. A major disadvantage of in office teeth whitening treatment is its price. It costs $600 per session, which is pretty expensive when compared to the take home whitening trays that come for $400 and the over-the-counter treatments that costs $100. The results aren’t assured; it usually varies from person to person. There are other contributing factors that affect the results such as heredity, age and the cause of staining. Bleaching isn’t a permanent treatment, be it in –office whitening or take-home solutions. After the treatment stains start accumulating after a short period of time. Prior to an in-office teeth whitening treatment, you must maintain your dental health at home with the use of touch-up tools like trays and over-the-counter products. Zoom is the most recognized teeth whitening treatment available today. It is a procedure that involves the use of 25% hydrogen peroxide gel and the advanced Zoom lamp or laser that accelerates the process of beaching to produce quick results. The hydrogen peroxide gel is properly applied on to the teeth for three times and the high frequency Zoom lamp is used for activating the process. Prior to the procedure, a special Zoom! touch-up kit is given that includes custom-designed trays to be used when required. BriteSmile teeth whitening treatment is recognized for its gentle and mild effect on your teeth and its ease of use. BriteSmile teeth whitening is now available all across the world. This method of whitening also involves the use of hydrogen peroxide gel that helps in bringing about the whitening effect. It also contains water and glycerin to prevent the dehydrating effect. 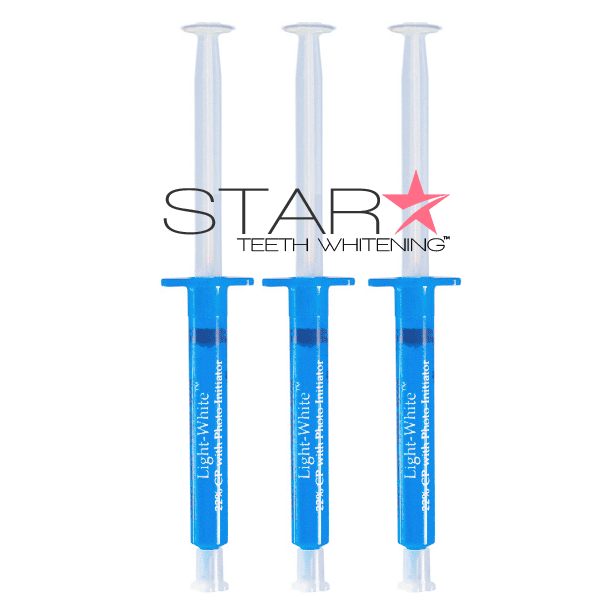 After the gel is applied on to the teeth, a special blue light is used for accelerating the process of teeth whitening. This brings about an aesthetic appeal in approximately one hour. There are other brands as well such as Opalescence Boost, Sapphire Professional Whitening, and Deep Bleaching etc. You can try any of these in office teeth whitening treatments based on your choice, requirement and affordability. Description: There are a number of teeth whitening procedures and in-office teeth whitening is found to be the most effective teeth whitening procedure. Zoom and BriteSmile are two popular leading brands used for in-office teeth whitening.